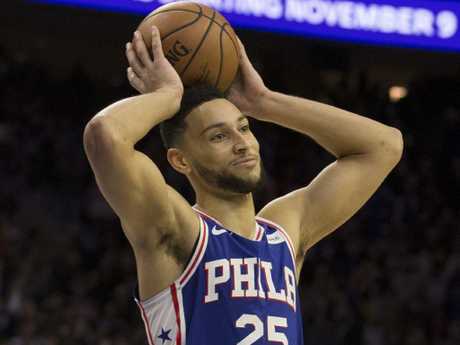 BEN Simmons has 223 million reasons why he is the only Australian NBA star yet to pledge his commitment to the Boomers' bid for a first medal at next year's World Cup. 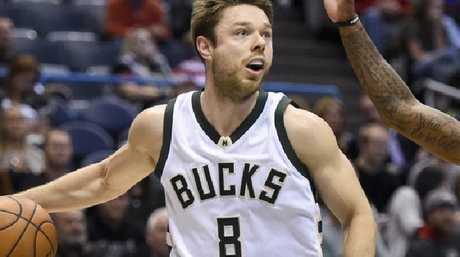 In a major boost for the Boomers' chances of winning their first senior international medal, Australian coach Andrej Lemanis revealed the team Skype session where the likes of Joe Ingles, Aron Baynes, Patty Mills and Matthew Dellavedova all expressed a desire to don the green and gold in China next August. The only player missing from the roster is Philadelphia 76ers guard Simmons, who will be eligible for a five-year maximum contract extension worth up to a whopping $223 million in July 2019. The reigning NBA rookie of the year is likely to be deep in discussions about his future at the time, meaning he hasn't been willing to commit to playing in the tournament so far. 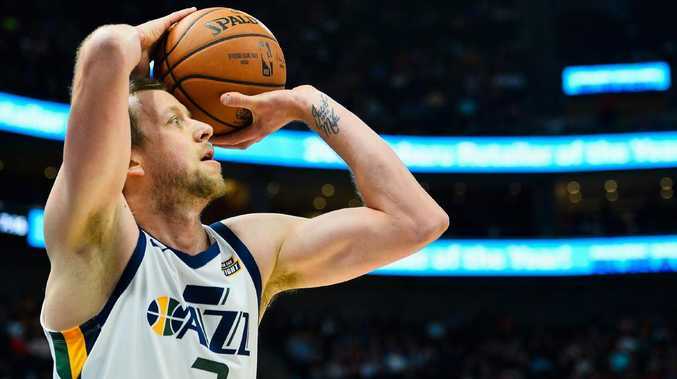 "Ben wants to play for the Boomers but in terms of the World Cup he has a pretty important off-season coming up in the NBA," Lemanis said. "But he has indicated he is really positive about the national team and we've got the door open for when he is ready to walk through it. Potentially nine players in Australia's World Cup squad will come from the NBA, giving the Boomers their best shot at winning a first senior international medal. Lemanis also confirmed Simmons' Philadelphia teammate Jonah Bolden is in the mix for Boomers selection. He said Bolden along with a number of European and NBL players will be considered. Lemanis reserved special praise for the Australian-based stars who helped the Boomers go undefeated at home during the World Cup qualifiers to finish on top of their group. "Those guys are why we'll bring in a bigger squad for the camp just to give everyone the chance to put their case forward for selection," he said. "Then we'll pick the team we think is best to help us win that gold medal. "I think it is also important to give recognition for the work the NBL guys have done in carrying the load through this qualification process. "They should also get an opportunity to make the team. 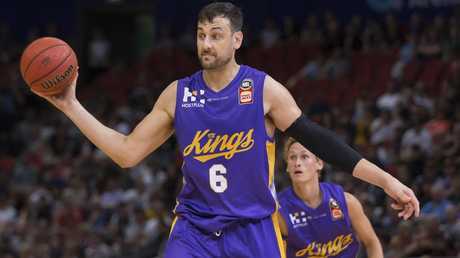 "Lemanis said Sydney Kings star and Boomers veteran Andrew Bogut was also in line to represent Australia at the 2019 World Cup. Andrew Bogut could also suit up for the Boomers. 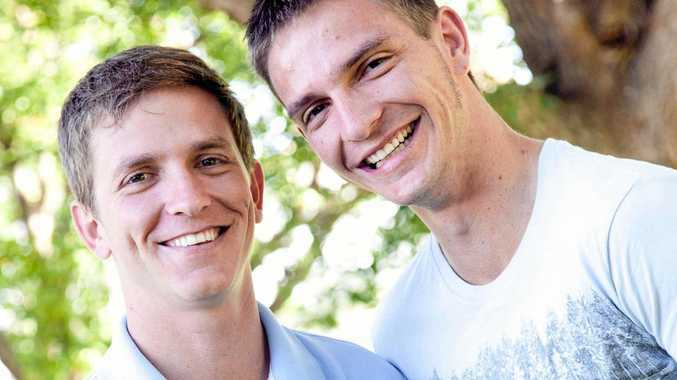 "The thing I really appreciate about Andrew is he has been completely open in his communication," he said. "He has said he wants to play in the World Cup and the Olympics and that he wanted to take care of his body and not be available for the qualifiers. "He is a quality big man whose passing is under appreciated at times. "He showed that in Rio when we made our offence work so well. "If Andrew is healthy and continues to play at the level he is playing at, he can make a significant contribution for sure."